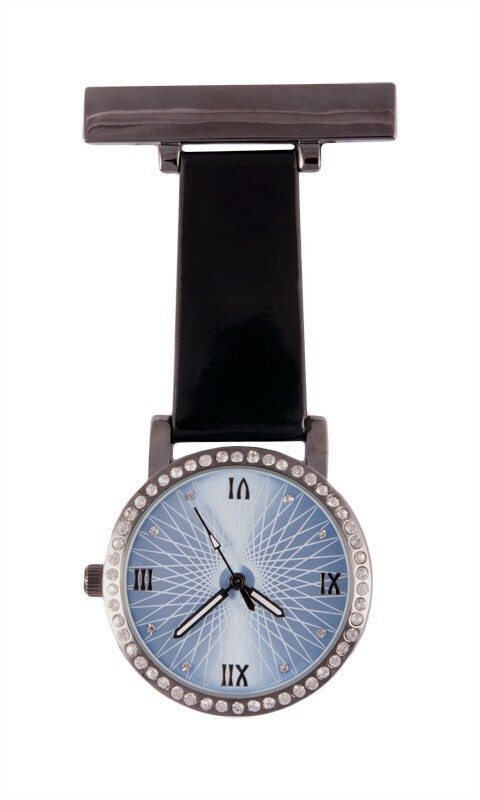 Glamour fob watch for nurses. 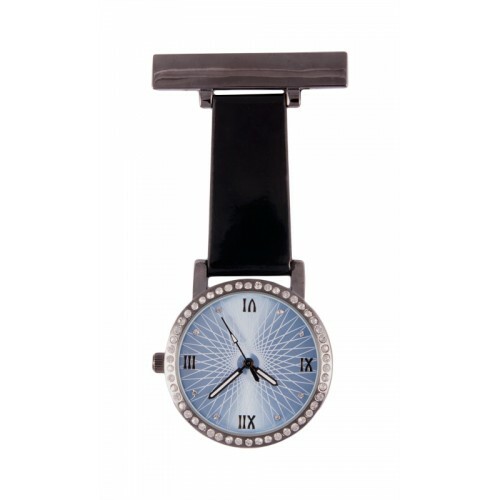 This beautiful nurses fob watch has crystals around the dial. 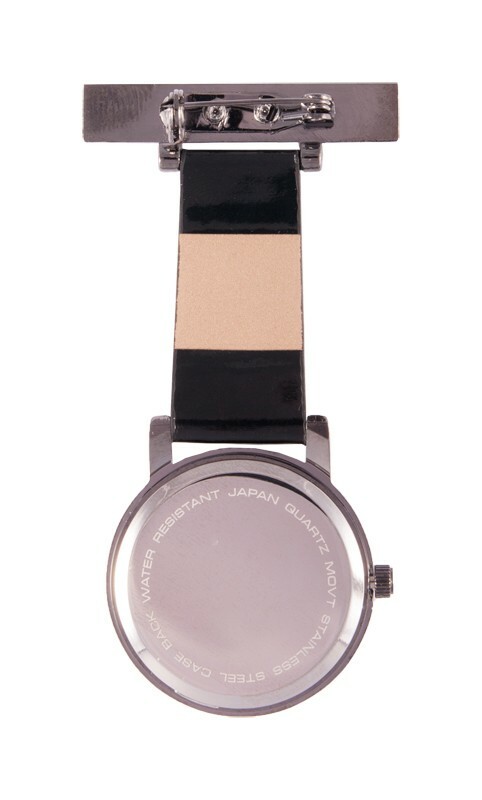 It has a traditional brooch pin which makes it perfect for attachment anywhere on your clothing.